“Iyanya had approached me about a year ago and notified me of his intentions to start up a label. He wanted my blessing to do so and I told him it was a welcome development. “I assured him of my support to help structure his planned label with the existing company (Made Men Music Group) whenever he was ready and the process was initiated. “Two weeks ago he shared with me, news that the company had been duly registered and was ready to commence operations. I was also privy to the information that he had identified a few artistes with potential he wants to nurture. This done, I knew the label was ready to kick off. “I understand his post piqued the curiosity of the public and blogs made what they could of the news. Yes, Iyanya is starting a new label which will be a company out of Made Men Music with a different structure and a different focus, aiming at growing our industry. “I would like to state here that like every other label we all have our internal issues from time to time. Franklin also stressed that Iyanya, Tekno, Selebobo, Tonye Garrick, Chibbz and Dj Coublon still remain under his management. The music manager further noted that he tarried in responding to the reports because he “took some time out” to be with his family, owing to his status as an expectant father. Also, Iyanyan had stated that he is not fighting with Ubi and he has no issues whatsoever with his wife, (Lilian). It would be recalled that following the announcement of his departure from his MMMG record lavel, series of reports went round the social media, purporting the possible reason behind the separation move. 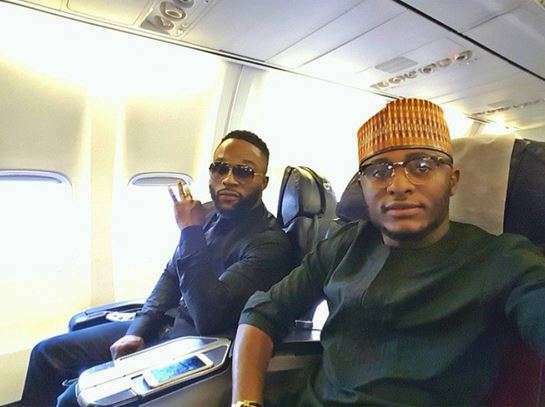 But on his Instagram page @Iyanya, the ‘Kukere’ crooner dismissed the rumours, saying they are all lies. The 29-year-old also denied being at war with Franklin because he couldn’t get along with his wife.